Great gift item. Something different. Worked very well and liked my drink also! I can now pour a beautiful Bruised Pear at home using canned Guinness and pear cider. Thanks for this handy tool. This beer layering tool is awesome. Easy to use - and made our family dinner a lot of fun! Thank you! Layered beers create a distinctive look and a more complex flavor. But making one can take serious bartending skills. 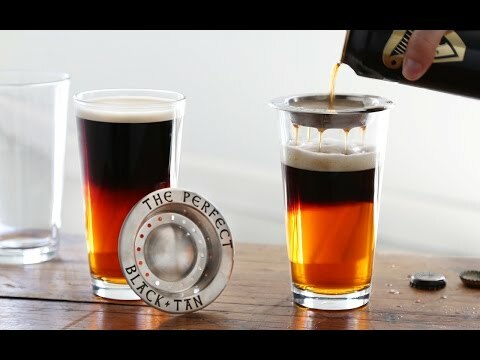 John Deboer created this beer layering tool so beer lovers can create these combinations easily at home. The secret is to have a bottom beer that’s denser than the one on top. A stout and a lager are the traditional combo, but there are lots of variations that balance different flavors, like a cider and stout. 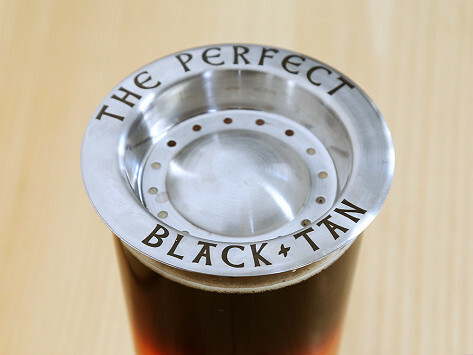 With the tool in place on your pint glass, all you need to do is pour slowly.